The Dell Premier Backpack is one of the best designed, protective, and practical backpacks for travelers who pack a lot of gadgets so good, it has me reconsidering the computer bag I’ve used for 10 years. Once you get your hands on one, you might consider changing too, particularly if you like getting through airport security lines a bit faster. For starters, the exterior of the Premier Backpack (which really needs a cooler name) has a synthetic fabric exterior, lined with fleece. The Premier Backpack isn’t officially waterproof but keeps out water sufficient enough to protect its guts on a rainy day. Dell has also reinforced the exterior with extra padding in the places most likely to get scuffed, like corners and around the zippers. I’m not sure why more electronics bags don’t feature a soft fabric interior for laptop and tablet compartments but the Dell Premier does. 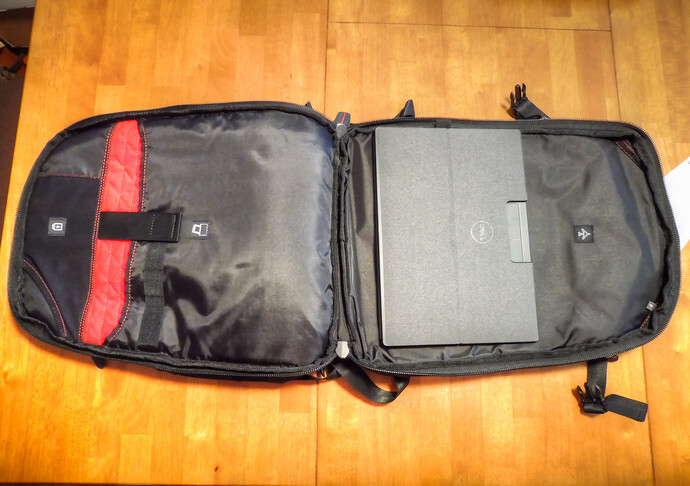 Each of the three compartment pockets big enough to fit a 15 inch laptop have a fleece lining, so you don’t need an extra case for your XPS 2-in-1, for example. There are also key, phone, pen, digital camera, SD card, and other pockets to fit all of your tech gear with accompanying charging cables. If you like pockets, the Dell Premier Backpack is a great carry-on option for you. The Dell Premier unzips into two flat compartments that are Transportation Security Administration (TSA) friendly, meaning you shouldn’t have to take out your tablet or laptop for the bag at security checkpoints. Unfortunately that’s a feature only useful in the United States but time-saving if you live or travel there frequently. Being TSA-friendly is a feature my beloved SwissGear SmartScan backpack doesn’t have – neither is being light. The Dell Premier weighs 2.6 pounds (~1.18 kg) versus the SmartScan’s beefier 3.2 lbs (~1.5 kg). For something that’s filled with expensive metal clinging to your jet-lagged back, those grams can feel like a big difference. 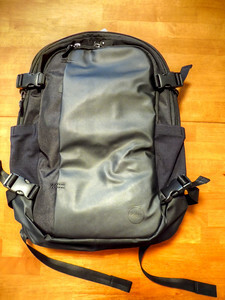 The SwissGear is still a good option for a laptop backpack but now not the only one. The Dell Premier Backpack is one your should seriously consider if you’re looking for a new laptop backpack or decide to purchase the XPS 2-in-1. By now you might be wondering if I got paid to write this glowing review but no, I didn’t, and don’t take money to say nice things. Simply put, if you want a bag as good as your electronics, the Dell Premier is one of the best backpacks to buy for frequent travelers.